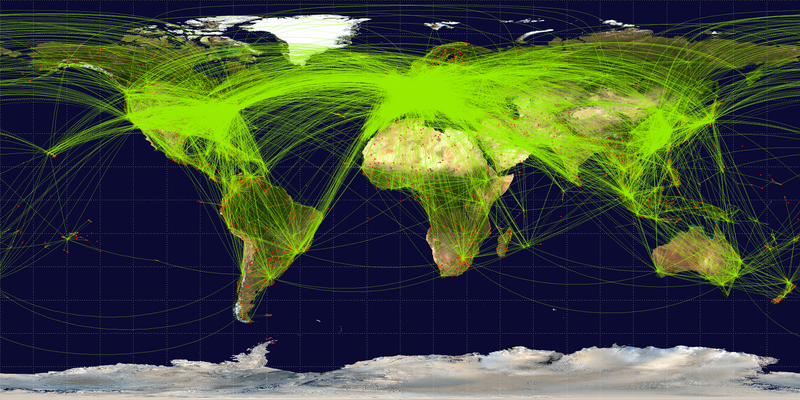 All the world’s airports form part of a global network of almost 3,300 sites linking some 60,000 routes – an ever-moving mesh of people and machines. 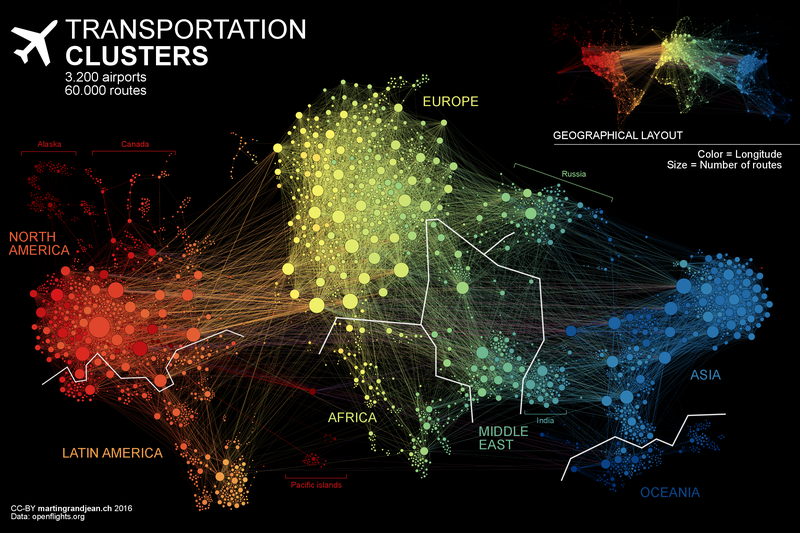 Swiss data visualisation designer and programmer Martin Grandjean has produced a mesmerising map that visualises the complex network through which millions of humans get around our planet. Grandjean’s map is the result of the application of a “force directed” layout algorithm on a graph of 3,275 airports that amount to 37,153 single routes based on OpenFlights.org data. Grandjean wrote on his site: “Naturally, network geography is not completely disrupted: the continents are mostly visible and regions are generally in their original position (with the exception of the Pacific islands that connect Asia and America – imagine this graph in three dimensions, with the Pacific Ocean behind).